With the season winding down for the University of Northern Colorado men’s and women’s golf teams, not one but two Bears recorded top-three finishes on the same day. Sophomore Beah Cruz (pictured in a UNC photo) used a single-round program-record 4-under-par 68 in the second round to post the best showing of her college career, placing second on Tuesday in the Wyoming Cowgirl Classic in Maricopa, Ariz.
About 18 miles away, in Chandler, Ariz., UNC senior Joshua Matz tied for third — a personal season best — in the Wyoming Cowboy Classic. It was Matz’s fifth top-7 finish of the season, and second straight. 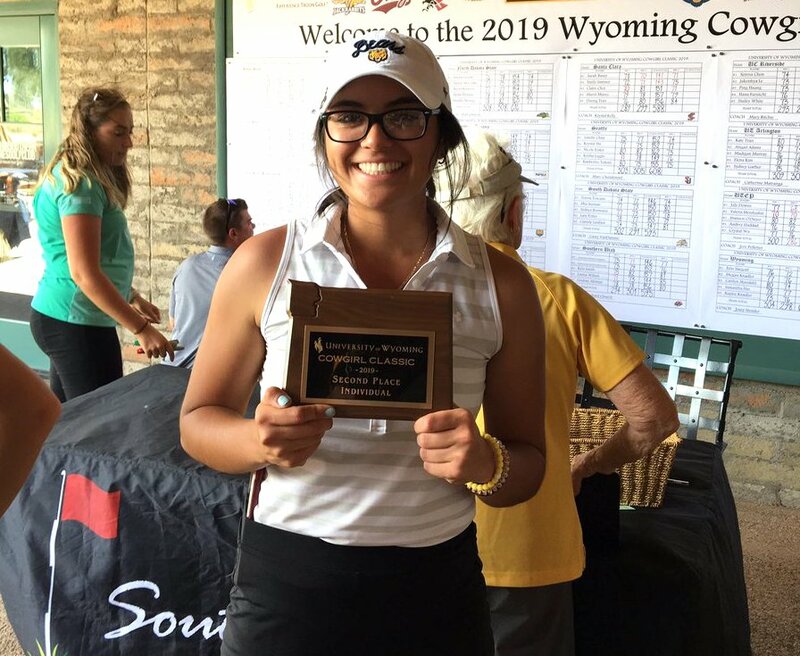 Despite playing her final three holes in 4 over par, Cruz went 71-68-73 for a 4-under-par 212 total in the Cowgirl Classic, which left her four strokes behind champion Suthavee Chanachai of New Mexico State. It’s Cruz’s third top-10 of the season. UNC finished sixth in the 20-team field. In the Cowboy Classic, Matz fired scores of 69-68-70 for a 7-under 207 total, which left him four strokes out of the top spot. The Bears ended up 12th out of 20 teams. Carson Griggs of the University of Denver, competing only as an individual, placed 11th in the Cowboy Classic at 210.